A new recruit has been welcomed into the ranks of the The Ministry of Defence Police (MDP) who provide security at the Defence Science and Technology Laboratory (Dstl) at Porton Down. Police Dog (PD) Meti has been licensed to join the force after passing a rigorous eight-week training course. The two-year-old German Shepherd was tested across a range of skills and abilities for his policing role essential for the safety and security of people and premises at Dstl. These include tracking, open area and premises searching for offenders and missing persons, searching for lost or stolen property, agility, chasing and detaining suspects and exposure to noise and distractions. Underpinning all of these tests was the dog’s obedience and response to his handler’s instructions which he passed with flying colours. All dogs receive basic training by the Defence Animal Centre (DAC) before being considered for selection by the MDP. Throughout their time in the force, each year all PDs are required to complete a minimum of 80 hours of training to retain their license. 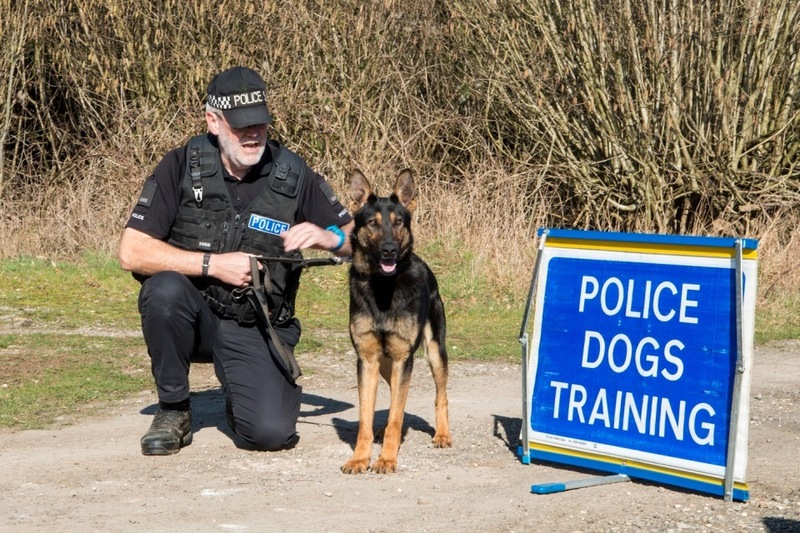 The programme is devised to meet the Home Office standards used for the licensing of Home Office police dogs so that the MDP dogs can be deployed in support of regional police forces, such as helping to trace missing persons. Being a dog handler is the best job in the world, even when we are out in wind and rain on Salisbury Plain. We form an incredibly close bond with the animals and it is a partnership based on mutual trust. Not every dog will make the grade and I’m chuffed that all the hours of work have paid off. Special thanks to our MDP trainers who get the best out of us all. The dogs provide an essential capability for the force and are instrumental in preserving the security of Dstl. We’re delighted to welcome PD Meti to the MDP.